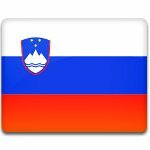 Sovereignty Day is an official holiday in Slovenia, celebrated on October 25. It commemorates the final withdrawal of the Yugoslav People’s Army from the territory of Slovenia in 1991. On June 25, 1991, Slovenia declared its independence from Yugoslavia, triggering the Ten-Day War, also known as the Slovenian Independence War. The brief armed conflict lasted from June 27 until July 7, when the Brioni Agreement was signed by representatives of Slovenia, Croatia and Yugoslavia. Slovenia agreed to suspend the entry into force of the declaration of independence for three months in exchange for the withdrawal of the Yugoslavian army from Slovenia. The last Yugoslav soldier left Slovenia on a ship that departed from the port of Koper around midnight of October 25–26, 1999. Although the ship left the port on October 26, all the troops had boarded the ship before midnight. As the ship was flying a Yugoslav flag, it constituted foreign territory according to admiralty law. So it’s safe to say that the last Yugoslav soldier left Slovenia on October 25. Sovereignty Day was initiated by two veterans’ societies with the support of the ruling Modern Center Party. It was officially proclaimed by the National Assembly of Slovenia in March 2015. Sovereignty Day is not a non-working holiday, and there is no nationwide celebration. Commemorations are organized on the municipal level.